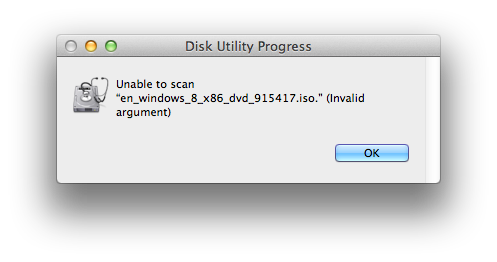 I have tried to copy an ISO file to a USB drive. 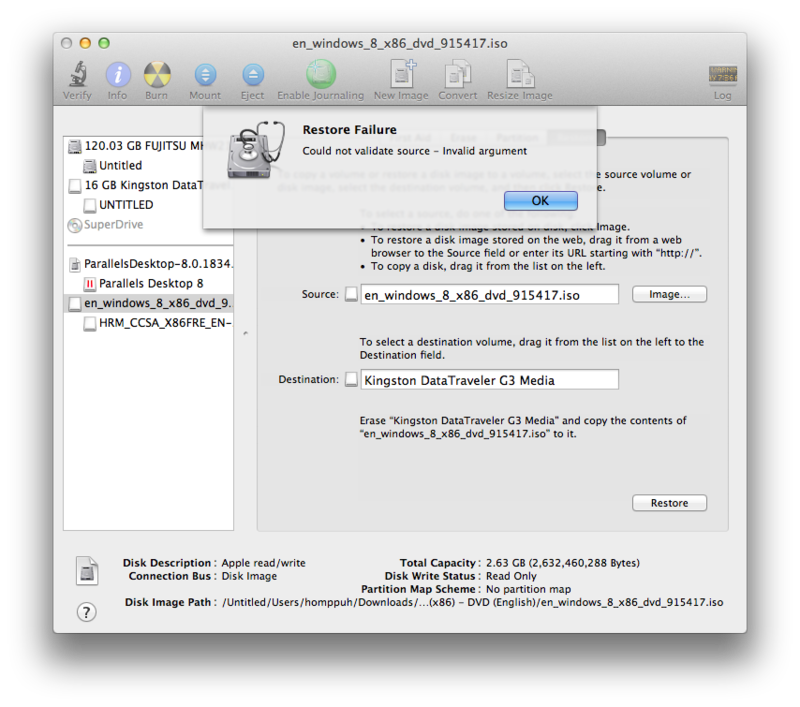 I am unable to do it with Disk Utility. How can I copy the ISO file to a USB drive? But I get the below. I have enough space in the 16GB USB drive for the 2GB ISO file. What am I doing wrong? Bmike commented "You can isolate the scanning of the image from the restoring to see if the problem lies with the image or the copy. 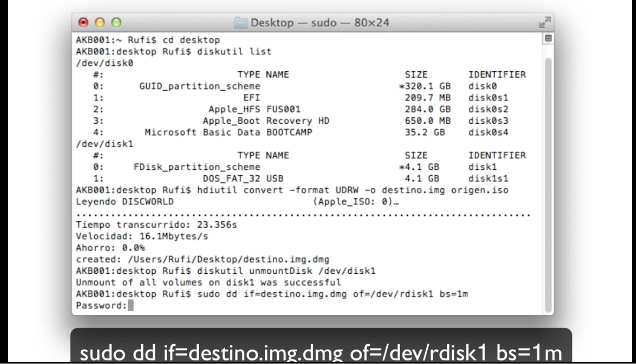 Images -> Scan Image for Restore... from the menu of Disk Utility." but the procedure fires the error below. What does it mean? You can also can try this. It works for me. This is a rather "raw" copy and will typically not work for a bootable USB, but will work for other cases. Here is a transcription of the commands from the screen shot for your copy/paste pleasure. If you want your USB to be "bootable" when all is said and done (ex: windows install disk), you're going to either want to use the Boot Camp Assistant (only check the "Create a Windows 7 or later version install disk" checkbox, then follow the prompts, it will create a FAT32 (i.e. bootable) USB version of your ISO file). I.e. dd is not always enough. This thread here outlines a graphical way of turning a USB drive into a boot disk. The user jbdjunk mentions the proceduce below, copy-pasted from the earlier site. 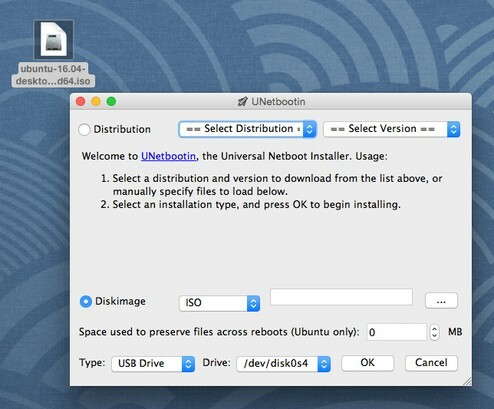 You can use an open source tool named UNetbootin. Also you can see an step-by-step tutorial with images by Ubuntu in here. now you know the address to be something like /Volumes/disk1s1 and for the mount-point like /Volumes/Untitled 1 but Apple requires some syntactic sugar in $ sudo umount /Volumes/UNTITLED\ 1/ umount(/Volumes/UNTITLED 1): Resource busy -- try 'diskutil unmount' but it won't stop us! So everything as one-liners below, enjoy! This so far is very close to working with distros such as Ubuntu here. Now we make only a small difference to this procedure to get it working with Apple computers, namely converting the ISO into special format usually labelled with DMG or just IMG. 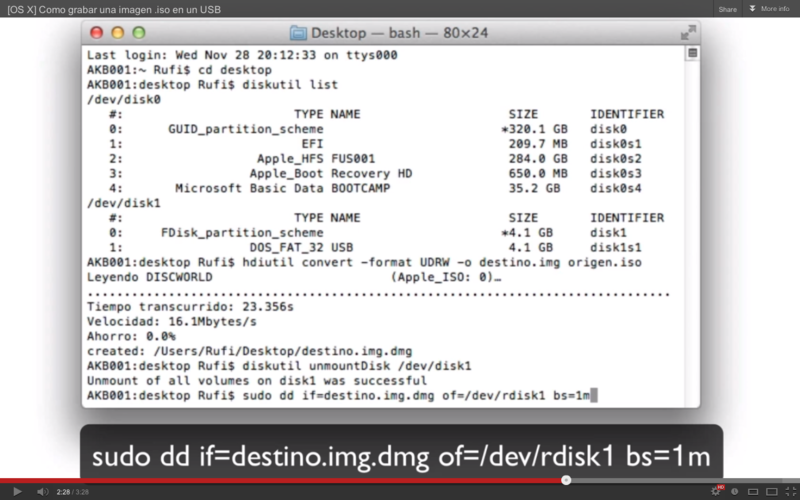 The only difference to Apple is that you need to make the ISO file into special DMG file and upload that. An answer provided a video that solved the issue but this screenshot should contain all essential. I can confirm that an 'official' Win10 (and also Win 7.1) iso obtained from University contract distributor winds up with a UDF formatted USB stick when copied with dd. Rogerdpack's answer explains why. Note that some versions of Boot Camp Assistant do not offer a "Win 7 or later" option; Version 3 (.2) and later do. Also, if you have copied your iso fruitlessly to the USB drive (now in UDF format) Boot Camp Assistant may (will) complain about your 8 GB flash being too small. Reformat this drive before using it in Boot Camp Assistant. Not the answer you're looking for? Browse other questions tagged macos usb unix iso . how do I create an ISO/CDR file from a hard disk? How to create USB Ubuntu boot disk in OS X so that it boots on *non-Apple* computer?